It is mandatory to submit a medical test report listed below to enter into THE SAMYAMA. The medical tests should have been taken within 2 weeks before the start of the Samyama and the originals of the medical test report to be submitted (hard copy) on the day of the start of the Samyama. Medical Tests taken prior to the mentioned period are not entertained. Post THE Samyama Medical Reports if taken within a month are considered to enter into THE SAMYAMA for participants repeating their THE SAMYAMA. Participants are requested to take the same medical test on the completion of THE SAMYAMA and submit the originals. The participants who have successfully completed the 3 levels of ‘Nirahara Samyama’ program, can register for THE Samyama program, which is directly conducted by the Master, residentially. To register for THE Samyama program, one of the pre-requisites is to complete the above medical tests and submit the medical reports to the ashram program registration team. When To Do Medical Tests : Before and after THE Samyama program, 2 medical tests to be submitted. Lifetime Niraharis : Those THE Samyama participants who have successfully completed the program, and decide to live as lifetime complete Niraharis, need to do at least 3 medical tests( under above stated criteria), after the SAMYAMA, one every month. Share Test Results : The results should be sent to the ashram : [email protected] notifying them of marked improvements etc. Why Do These Medical Tests? Please note these tests are proof of you having lived as a medical miracle, without eating for 21 days, doing intense work for atleast 18 hours a day and consuming diluted liquids. It is proof for you to have confidence in your own body’s ability to live after breaking the pattern of eating. Your medical tests represent hope for 1000s of people to overcome addictions, life long diseases and many hard to break patterns. So please don’t underestimate the tests, do them with authenticity, bearing responsibility to inspire more like you. 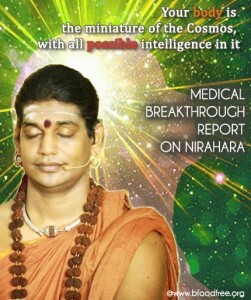 It is the aim of the Master to share this great science with mankind, for which reason none of the Nirahara programs carry a fee. The only thing we ask for is that you perform the required tests and allow us to use the info to enrich others. 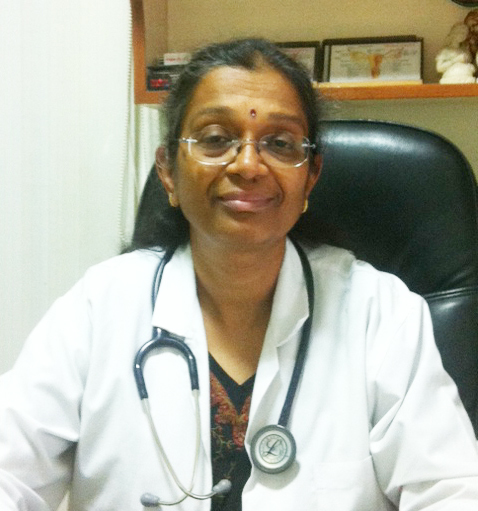 What Doctors Say :Click the link to check out Dr Shanthi’s experience! Among the main symptoms of this are fatigue,lack of energy,skin dryness,weight gain. During both Niraahara Samyama and ‘The Samyama’, I actually experience complete reversal of these symptoms. My skin became moist, shining, fatigue completely disappeared and I had so much energy that If I could I would have shared with others. My body became lighter,more flexible,more alive having dropped 8 lbs.